I can’t believe that it is a year since I penned the last of these Reviews but my rapidly reducing diary assures me it is. So what sort of year has it been: rather quiet actually, as it often is in a year before a General Election but even more so this time probably because we have all known for a long time when the election would be. The Government tells us all that it is all heading in the right direction, the economy is doing well, employment is up, unemployment is down, oil prices are down and so is inflation. However if you ask the man in the street, whilst they may admit that things do seem to be improving, disposable income and wage rates remain stubbornly depressed. That has a direct effect on our industry. Though policies to get the economy back on track are working, it is coming at a price and one that is impacting upon our industry. Cuts to local authority funding have resulted in a raft of removals or reductions of bus funding subsidies across the country. The loss of rural bus services has brought hardship to societies the Government said in its first year in office it would support. As many of you probably know I live in Cumbria. We haven’t seen a reduction in bus subsidies, we’ve seen the complete removal of subsidies and the loss of important bus services from November. This hasn’t affected the village where I live because we haven’t had a proper bus service to even attract a subsidy since the 1980s. Our only bus services are a once weekly single service to Penrith and another similar one to Carlisle, provided by a voluntary run operation without subsidy. But the effects of the Cumbria bus subsidy decision has had very dramatic affects in other parts of the county. 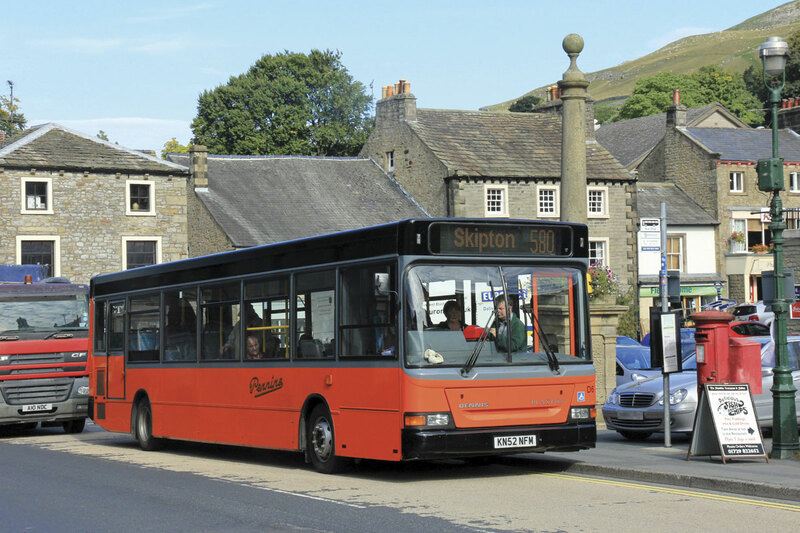 An example is the 106 which connected Penrith to Kendal via the A6 through Shap. If everyone along the route in this very sparsely populated area used the bus it is doubtful it would be truly viable but it is a vital service for many people. It was due to be removed in November. Reays said they would try to run it but stopped after two days. The end result is that seven people I know who live in Shap have had to give up their jobs in Kendal. Will things improve after the election? No they won’t. Whoever comes to power faces the same problems and whilst there might be a little tinkering around the edges the austerity, especially at local levels will I fear continue and probably increase. It was a momentous year for politics with the referendum on Scottish independence. I fear that it has damaged the harmony that has existed in the UK over hundreds of years. I hope we find it again, but I do have my doubts. The one good thing to come out of the referendum debate is that we are now promised that there will be greater powers for the English regions. The year began with the announcement by the Government of the latest local transport fund of £78.5m; sadly it wasn’t ring-fenced so just how much of it actually went on transport related projects remains a mystery. Fortunately later in the year they announced a £25m ring-fenced fund for small community transport providers to replace old vehicles. It is good news for the vehicle conversion industry which has been under severe pressure, though, noting the efforts of Martin Allen and the Bus & Coach Association to create a level playing field, the vehicles must not be used to compete with commercial operations. We also saw the formation of a new Government department for transport, the DVSA (Driver and Vehicles Standards Agency). This replaces the DVLA and VOSA and is responsible for setting, testing and enforcing driver and vehicle standards. We’re promised the customer will be put first, costs will be reduced and consistency improved – I hope it is, but I’m not holding my breath. I’ve recently applied to them for my new licence (I have to review my PCV licence annually as all septuagenarians do). It used to take about two weeks – this year twelve weeks – I rest my case. They also did away with tax discs those infuriating paper circles that arrived on a piece of perforated paper that never quite worked. It is all done on-line now. Perhaps the saddest Government news was that former Transport Minister Norman Baker resigned from his position at the Home Office only a short while after taking the post on. Praising Traffic Commissioners is not something many of us experience, but my colleague Roger French praised Senior Traffic Commissioner, the redoubtable Beverley Bell, for her new Statutory Document giving Guidance and Directions on operating local bus services, saying, ‘ it is the most realistic, pragmatic document ever issued by the Traffic Commissioners’. He’s right, it is. 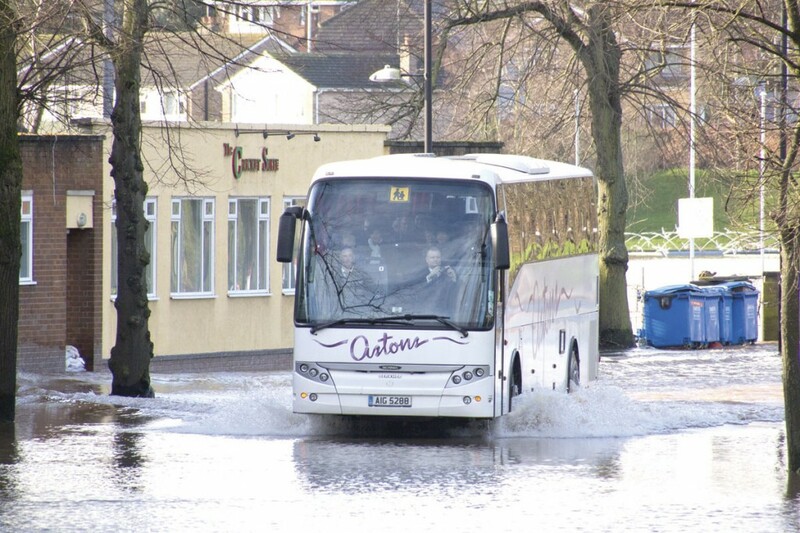 Early in the year large areas of the UK suffered from severe flooding. This affected huge sections of the country not the least the South West, Thames Valley and Somerset. Naturally, this had a big impact on the bus industry, but as usual it rose above it and managed to keep the services running wherever possible. As ever the authorities looked to our industry to plug the gaps, particularly when rail services were disrupted, and as ever the response was magnificent, not the least by those operators that maintained the vital link between Cornwall and West Devon up to Exeter after the rail line was severed at Dawlish for six weeks. Well done and well done to Network Rail, getting that severely damaged vital rail line back in operation in just six weeks was outstanding. Of other major events of 2014, some were good, some bad. Transport for Edinburgh was formed combining the operations of Lothian Buses and the Edinburgh Tram. Later in the year Lothian Buses recorded its best performance for many years. Edinburgh did at long last get its tram, well part of it. Sadly Leeds technologically obsolete trolleybus project is still crawling forward despite First’s offer of London style New Routemasters as a better alternative. Arriva finally admitted defeat in Malta and gave up operating the island’s buses. Currently in front position to run them is Autobuses de Leon of Spain which is ultimately owned by National Express. Good luck! Western Greyhound suffered another fire, not as disastrous as the earlier one but serious enough. Faced with this, increased competition and the need to replace large numbers of Varios to meet DDA, the business was sold in two parts. January 1st was the date for the introduction of Euro6 but it was initially a bit of a damp squib. Many manufacturers hadn’t actually started building Euro6 variants and there were still plenty of Euro5s available. Over the year more Euro6 models were steadily introduced. Many operators introduced new energy efficient vehicles over the year including various hybrids and significant numbers of electric vehicles. Stagecoach also introduced gas powered buses (Scania ADLs) in Sunderland whilst in Aberdeen they began trialling hydrogen powered Van Hools. In York, Transdev introduced their retrofitted electric double-decker for the city’s City Sightseeing service. Safeguard Coaches celebrated 90 years of service and so did Rambler Coaches while Hornsby Travel in Scunthorpe and Greyhound USA, now owned by First, went ten better and celebrated their centenary. First also celebrated 100 years of buses in Leicester and Worcester whilst NatEx did the same in Birmingham but Irizar beat them all by celebrating their 125th anniversary. Even at Bus and Coach Buyer we had an anniversary to celebrate our 25th! We also went global with our on-line classified advertising service. 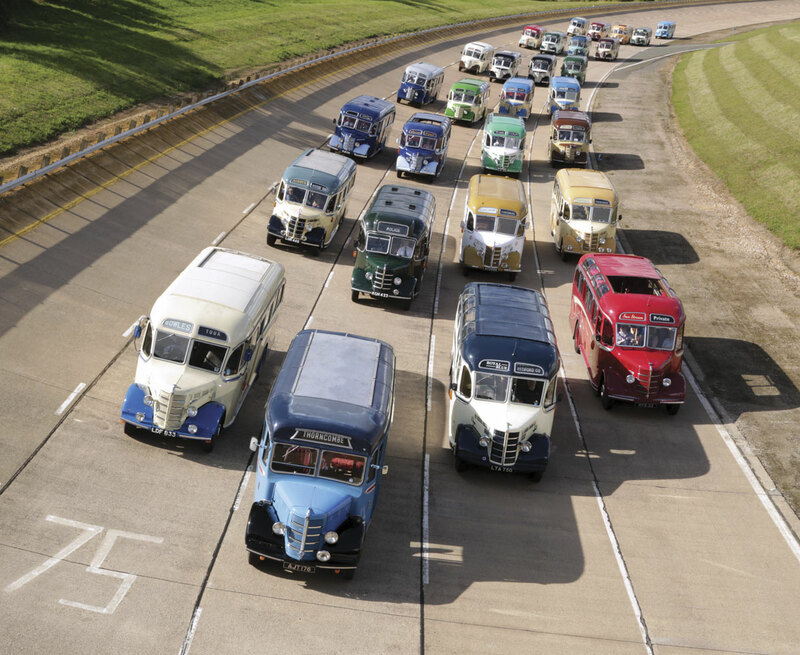 A highlight of the year, especially for my Editor, was the 75th anniversary of the Bedford OB celebrated with a mass Rally of OBs at Dunstable and Millbrook. Towards the end of the year the Government announced that £51bn would be spent on long awaited road projects including a large section (but not all) of the northern A1. Sadly, dualling of the A66 and A69 cross Pennine routes weren’t part of that although we have been promised feasibility studies again. Good news was the change at Dartford where the Dart Charge should mean less queuing. Despite fierce opposition the North East Combined Authority (NECA) continues to press ahead with its quality contract scheme plans which will go before the Quality Contract Scheme Board early in the New Year. In London, the number of passengers carried is at its highest in over half a century despite the retrograde step of abandoning cash payment on buses. There were a lot of operator changes including the loss of some old, long established names. Overall the big groups traded well reporting that they were either on, or ahead, of target. FirstGroup continued its rebuilding under the hands of Giles Fearnley, but significantly, despite posting a pre-tax profit, it failed to pay a dividend. It also lost its Chairman when John MacFarlane decided Chairing Barclays Bank was a better proposition for him. Amongst the long established operations to disappear were Pennine Motor Services and their distinctive orange and black livery such a part of the North Yorkshire scene; Tuers Motors of Morland; Padarn Bus from North Wales; James King of Kirkcowan and their subsidiary ABC Travel and Hatts Travel. Tower Transit acquired Whippet and Impact Travel to add to the London operation it acquired from First. Classic Bus North West ceased trading and so did Doyles Coaches. EYMS retrenched with the Finglands Coachways subsidiary going to First and Whittles coaching operations to Johnsons of Henley in Arden. Stewarts of Berkshire bought Woods of Leicester; RATP Dev bought the Original London Sightseeing Tour from Arriva; Adam Smith took over troubled Black Velvet as well as the bulk of Western Greyhound and Momentum Coach Hire went into administration. An important change on the operating scene was the buyout by Dennis Wormwell the CEO and his colleagues, of Shearings. It was relatively quiet on the dealer front. Arriva Bus and Coach opened a new depot in Wellingborough, Northants, BASE lost the Beulas franchise but quickly announced it had secured the Portuguese built MOBIpeople Explorer and Italian built Barbi Galileo ranges to replace them. Beulas moved to the associated Moseley Group of companies, which also won the rights to supply Scania powered Van Hools, a range that has been denied to GB customers for some years, as well as the Indcar Next range. Pelican Engineering made good headway with selling the Chinese built Yutong TC12 coach following it up at Euro Bus Expo with the TC9 midicoach and the new TAM Vive. Manufacturers were engaged slotting Euro6 engines into their various existing models. The major vehicle producers reported that their businesses were on target but those targets continued to be depressed because of the general economic situation in Europe. A significant development concerned Scania. VW was already a major shareholder in Scania and, as had been widely predicted, they made a move to fully take over the Swedish concern. Scania resisted, but in the end VW won the battle. MAN, also VW owned, decided to close its Plauen and Poznan facilities, as part of a rationalisation plan to increase efficiency and maintain profitability. Early signs of common ownership included an announcement on MAN using Scania transmissions. Van Hool opened a new plant in Macedonia and also announced the new EX range of coaches. ADL launched two new generation buses, the Enviro400 followed by the Enviro200 with the emphasis on operator involvement. It had to reluctantly put its Australian subsidiary Custom Coaches into administration but it still believes it has a business future in the market. Elsewhere, particularly in the Far East and America, it continued to make strong progress with is Enviro500 deckers. South Korea looks like being the next market to open up whilst in North America they are to open a manufacturing plant in Canada. ADL also made a significant move into Europe, traditionally notoriously difficult for UK manufacturers to crack. They secured a deal to supply PolskiBus with Volvo B11R Plaxton Elite i coaches for its expanding European express coach operation. Wrightbus unveiled the StreetDeck double decker along with its Euro6 engined range. It too continued to expand its overseas activities again principally in the Far East but it also opened an office in the Middle East believing it to have real potential. Wrightbus also brought in a new structure for its burgeoning empire of companies with Mark Nodder as Chairman and CEO, Stephen Francey as COO and Mark Johnston as CFO. Optare launched the new lightweight MetroDecker double deck which somehow manages to tip the scales at under 10-tonnes to London specification. Wow. Sad news was Bluebird Vehicles going into administration following a slow down in demand for its products from the community transport and local authority sectors on which it was very reliant. Fortunately for the market, that news was quickly followed by the announcement that the Woodhall Nicholson Group which includes Mellor Coachcraft and had been acquired by Brian Davidson and fellow investors, had bought the Intellectual Property Rights to the Bluebird range of directly wheelchair accessible minibuses and intended to continue production and development of the range, which they have. The basic body structures are still being built by Bluebird Engineering Services which was unaffected by the Bluebird Vehicles problems. They are then transferred to Mellor’s Rochdale facility for trimming and completion. A piece of good news was hearing that O&H, the accessible vehicle converters, celebrated their 25th anniversary. Mercedes-Benz was quick off the mark getting Euro6 power into their Sprinter range, indeed into all of its products. It handed over the 20,000th Dortmund built minibus as well as the 40,000th Citaro service bus – what a success that vehicle has been. Early in the year EVM announced new versions of their range on Sprinter Euro6 and most of the other converters soon followed suit. The Sprinter has lifted the bar in recent years on what to expect from a minibus or coach in this sector in terms of specification, performance, fuel economy, reliability and safety. The introduction of the 7G Tronic Plus automatic transmission has brought a level of smoothness unimaginable a few years ago. Mercedes-Benz really dominates this sector now, but that did not stop Renault introducing a new Trafic and further extensions to the Master range; Vauxhall launched new Vivaros and Movanos and both Citroen and Peugeot announced similar changes. All these are basically the same vehicles. Ford completed its new Transit range but still without an automatic option. Fiat introduced a new improved Ducato another popular conversion choice not only in the minibus market but also for ambulances and motor homes. Iveco introduced an all new Daily range which improved this already good vehicle even more, particularly with regard to the Euro6 engine, power output, economy, smoothness and quietness and also significant improvements to the ZF automated transmission. I had hoped that Iveco would raise the weight capacity of the Daily to counter the loss of the Vario but sadly they missed that golden opportunity. Efforts amongst the mini/midi vehicle builders were all about finding replacements for the now deceased Vario, the last of which entered service during the year. First to show their hand was the Wrightbus subsidiary Nu-Track, who introduced the Pulse mounted on the 10 tonne MAN chassis with MobiPeople following suit with both 10 and 12 tonne variants. Next up in the Vario replacement saga was Sitcar with the introduction of the Voyager mounted on the 70C17 Iveco Daily chassis. Scania announced it would begin importing a wholly Chinese built product in the form of the Higer Touring, a range of two and three axle luxury coaches. Setra announced the completion of its new ComfortClass range, but don’t get excited, because they are not planning to produce right hand versions, more’s the pity. Likewise the new Urbino range from Solaris. 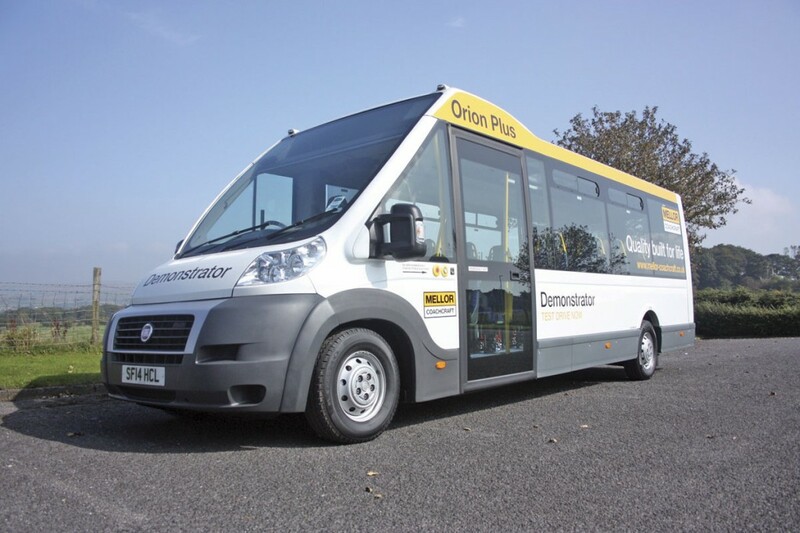 EVM added a directly wheelchair access range of Sprinters called the Community and Plastisol relaunched its all plastic bodied directly wheelchair accessible vehicle as the Mission, having severed its connection with Optare and buried the ill-chosen Bonito name. Heavy duty single buses have diminished in popularity, in the face of lighter weight alternatives like the ADL Enviro200, the Optare Versa and the Wrightbus StreeLite but some operators still like the concept and for them Volvo introduced the BR8LE chassis. The first bodied example came from MCV. Though early in the year there were few new vehicles introduced that all changed in November at EuroBus Expo where we saw a raft of new vehicles, many of them potential replacements for the Vario. How many of them will go on to become serious contenders in the market remains to be seen? Aside from Scania announcing the Higer Touring coach, Higer also hit the news later in the year when Irish vehicle importers Harris announced they would import a range of Higer built coaches to Ireland and the UK and proceeded to show examples of the Higer Storm 1 at Birmingham and the CTTC Show in Dublin. What makes this really interesting is the Harris track record – it was they that were responsible for introducing the Japanese Hino truck range, which has gone on to become a major player in some sectors of the truck market. Will they do the same for the Higer coach range? Back to Vario replacements. Moseley Group added to their already announced Sitcar Voyager with the Indcar Next built on the Mercedes-Benz Atego chassis and the Beulas Gianino built on the MAN chassis; Steve Peach of Connaught PSV brought his contender the Atego based Ferqui F5; Noones/Minis to Midis brought us the Atego based Turas 900 and the Iveco Daily based Turas 700; Unvi brought us the Atego based Voyager GT and Nu-Track added an accessible version of their Pulse model and the StreeLite based Nu-Vibe; BASE introduced the MOBIpeople Midi Explorer again on the MAN chassis and Pelican the TC9 from Yutong. New entrants to the market other than those already mentioned included the Turkish Otokar Vectio C small bus and the Vertigo T small coach and Slovenian TAM Vive TH coach using MAN power and imported by Pelican Engineering. Other new vehicles at the Show were EVM’s first coachbuilt Sprinter, the Grand Touring built by CarBus of Spain and Mellor with a lightweight version of the former Bluebird Orion called the Mellor Orion Lite developed to enable drivers without a D1 licence to be used. So what started as a quiet year on the vehicle front, certainly did not end that way. Highlights of the year for me are always the various awards. First up was the FPTNI, (the Northern Ireland coach operators association) Awards with their Operator of the Year going to Airporter of Londonderry. Interestingly they also awarded their Joseph Logan Memorial Award for a lifetime contribution to the industry to Norma Smyth co-founder of Airporter and the FPTNI’s predecessor NIICOA. Next up was the UK Coach Awards which saw The Kings Ferry taking the top prize of Operator of the Year. The UK Rally saw Parry International walk away with the top prize, Coach of the Year, for the fourth year in succession, this time with a Neoplan Starliner 2. 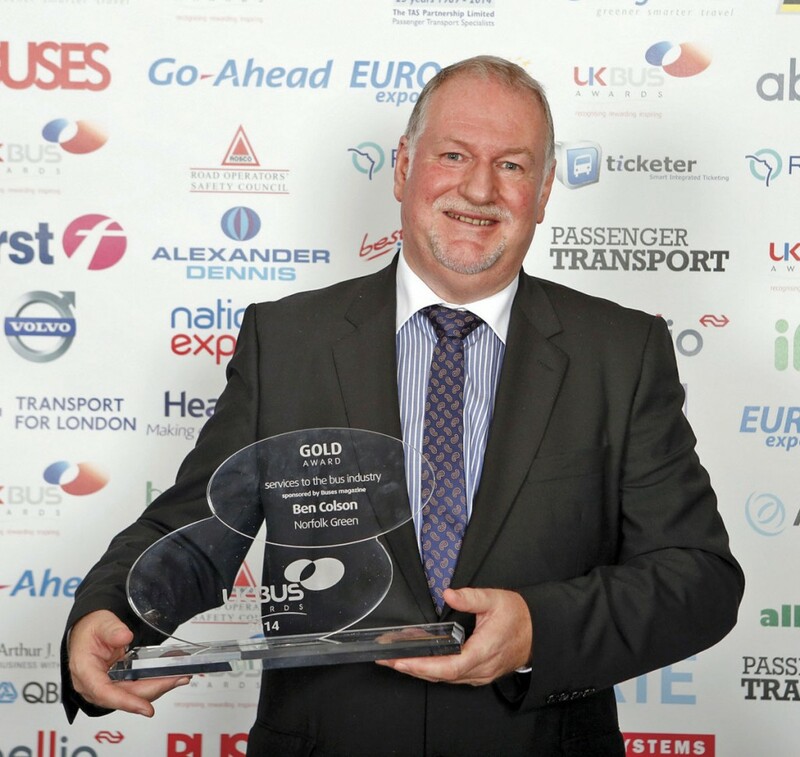 Steven Davies of Prospect Coaches of Stourbridge was named Coach Driver of the Year. The Bus Driver of the Year was Jonathan Welch of First Aberdeen. MAN took the International Bus of the Year 2015 accolade with the Lion’s City G CNG articulated bus with our Stuart Jones, Chairman of the Judging Jury, making the award during the IAA at Hanover. The UK Bus Awards saw Nottingham City Transport named Bus Operator of the Year and City Operator of the Year; Peter Newman’s EnsignBus, Top Independent and Reading Bus the top Shire Operator. The award for Outstanding Services to the Industry deservedly went to Ben Colson, founder of Norfolk Green. Lots of changes as ever including some significant retirements. Early in January we learned that the CEO of Translink in Northern Ireland, Catherine Mason, was leaving the organisation. A very controversial appointment originally, but it is acknowledged widely that Catherine did an excellent job in handling the giant State organisation. This year’s CPT President was Chris Owen of Alpine Travel, whilst the CPT’s own Steven Salmon became President of the Social Affairs Commission of the IRU. Still with the CPT, it added Andrew Warrender from ADL/Plaxton to its team as its Coaching Executive. Significant retirees from longstanding roles were Ben Colson, founder of Norfolk Green, Phil Baker of Bakers of Biddulph; Ian Manning of Stagecoach West; Steve Pickup of ADL; Andrew Taylor of First Berks; John Horn, Sales Director of Optare; Philip Kirk, MD of Oxford Bus; Mike Beagrie, interim MD of EvoBus UK and Phil Margrave , Engineering Director of Go-Ahead Group. Other important changes were Paul McGowan to MD First Scotland East; Martin Quail to Business Development Manager National Express; Vicky Williams to Commercial Manager, trentbarton; Richard Owens to GM Express Motors, Carmarthen; Teresa Broxton to MD First Manchester; Andrew Smith to MD Bournemouth Yellow Buses; Rupert Cox to MD Stagecoach West; Kirk Trewin to Chief Engineer Go Ahead North; Dave Alexander to Regional Manager First North; Neil Barker to Regional Manager First South and Gavin Pearce to Engineering Director Arriva North East. James Freeman, CEO Reading Buses became MD First Bristol and West of England, whilst Martijn Gilbert took over as CEO at Reading; Tim Matthews became Sales Director at Optare; David Siviero became Sales, Marketing and Service Director at Optare; Dr Rene Umlauft stepped down as Chair of MAN Diesel and Turbo SE; Michael Rhielman became CEO and MD of EvoBus UK; Karen Crispe long time MD of Tachodisc became Commercial Director of the FTA and Darren Brooke left Unwin Safety Systems to join London Hire. Des Evans stepped down as CEO of MAN Truck and Bus UK to be replaced by Simon Elliott. Phil Southall became MD of Oxford Bus; Gary Chisholm became Engineering Director of Stagecoach NE; Gordon Frost became Operations Director of Thamesdown and Jane Cole became MD at Blackpool. A surprise announcement was Steven Norris becoming Deputy Chairman at Optare and former Chief Technical Officer, Glenn Saint, leaving to join a new electric vehicle business. Less surprising was Ben Jardine of Plastisol UK leaving to join Glenn Saint’s new company. Sadly we lost some good friends for ever –Brian Bibby, Michael Shilson, Jeff Hughes, Ken Daniels, Bob Crow, Nigel Vokes, Peter Berry of Berrys of Taunton, Melvin Jones, Professor John Hibbs and Stephen Hughes. I said at the start that it was a quiet year, but perhaps it wasn’t so quiet after all. What will 2015 bring? Much more of the same I suspect and sadly even more politics. That is inevitable as we move towards the General Election and the predictable upheaval and period of settling down that will follow – then there is the devolution of powers to the English regions – it should be an interesting year. A Prosperous New Year to all readers.